Bhubaneswar, September 24: As the nation was sweet dreaming on Sunday night, India made its dream come true as it successfully conducted its first night trial of its indigenously developed Ballistic Missile Defence (BMD) from a defense facility off the Odisha coast. The test is considered to be a major milestone in developing a two-layer Ballistic Missile Defence system. India has become the 4th nation in the world to have a robust BMD system after US, Russia, and Israel with the successful testing of the anti-ballistic missile system. 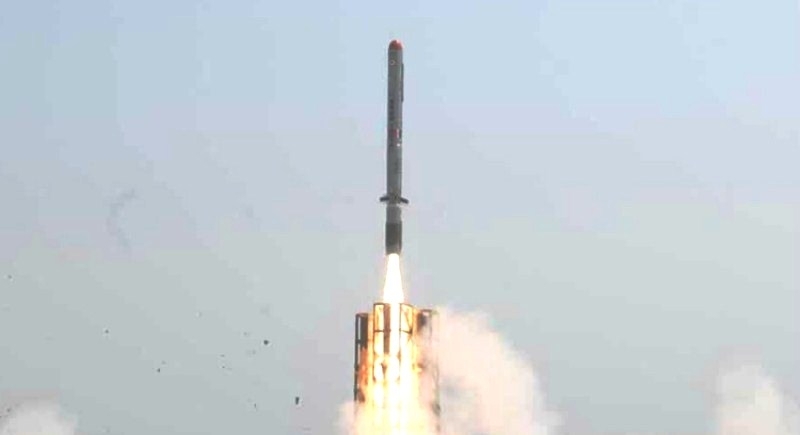 The hot standby interceptor missile Prithvi Defence Vehicle (PDV) which is capable of destroying enemy weapon systems at high altitudes of above 100 km, was flight tested against a target missile fired from a warship anchored in the Bay of Bengal. Both the PDV interceptor and the target missile were successfully engaged. The made-in-India anti-ballistic missile Prithvi Defence Vehicle was blasted off from the launching complex of Abdul Kalam Island a few minutes after the target, a modified Prithvi ballistic missile, was launched from the warship. The radar-based system detected and tracked the ballistic missile and the computer network, with help from the data received by the radars, predicted the trajectory of the incoming ballistic missile and provided a requisite command to fire the PDV interceptor missile. The target was set up in the Bay of Bengal to simulate a hostile ballistic missile approaching from more than 2,000 km away. The test of the next generation state-of-the-art interceptor missile Prithvi Defence Vehicle developed by DRDO was aimed at engaging target in the exo-atmosphere region. The DRDO has been focusing on high altitude interceptor missiles because if an incoming missile is intercepted at a high altitude, the debris would not fall on the ground and there would be no collateral damage. The Prithvi Defence Vehicle (PDV) has been tested twice before, with the first test on April 27, 2014, and the second test on February 11, 2017, however, Sunday's test was the first one conducted at night.